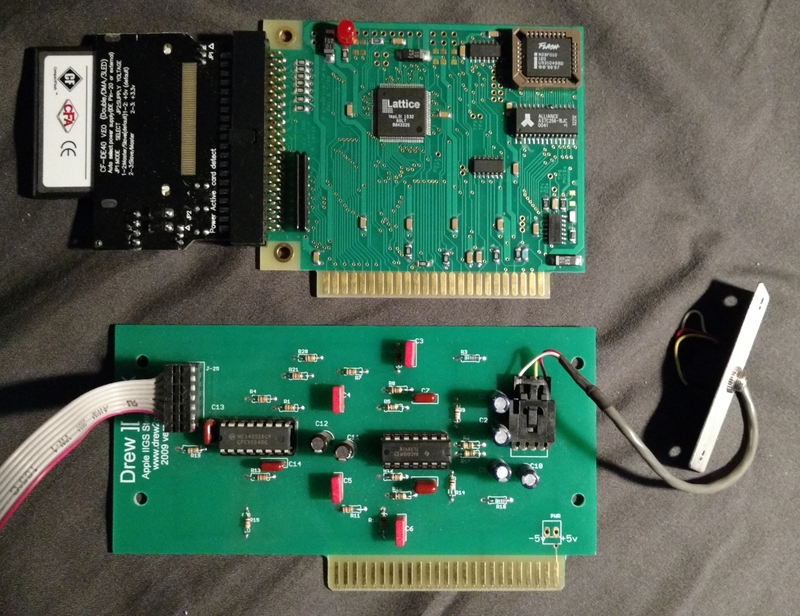 I'm selling my Drew ][ TDX Stereo Card and ReActiveMicro MicroDrive/Turbo w/256MB CF card, for Apple IIgs. The stereo card is in working condition, recently tested. The MicroDrive/Turbo was never used. I bought it new, stored it for quite a while, and eventually decided to buy & use the CFFA3000 instead. Asking USD$150 for both by PayPal personal payment. Price includes shipping to anywhere in the USA. US customers only, please. I would also trade both for either of the following: Microsoft Premium Softcard or Applied Engineering Phasor. These are no longer available. Wayne and I did a trade. Thanks for looking.